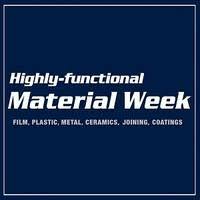 To hear the latest news on our newest materials don’t forget to visit the Inkron/Nagase/Nagase Chemtex booths at the FILM EXPO and the 7th Plastics Expo of the 9th Highly-Functional Material Week at the Makuhari Messe in TOKYO from 5-7 December. Booth No. 21-2 (Film Expo) focuses on the latest ultra-high and ultra-low Optical Coatings while at Booth No. 30-30 (Plastics Expo) you can find out more about our Encapsulants, Die Attach, Dielectric and Conductive materials.